So much has changed since Gage Gubrud stepped onto the turf last September at Washington State. Two weeks ago, as the Eastern Washington players and coaches were preparing for their annual team photo, Gubrud sprinted onto the turf at Roos Field. He was full of apologies after a haircut that ran five minutes long. “I am so sorry,” Gubrud said to the small gathering of media types. The apology was as heartfelt as it was unnecessary. Gubrud does humble pretty well, but then, he’s had plenty of practice. 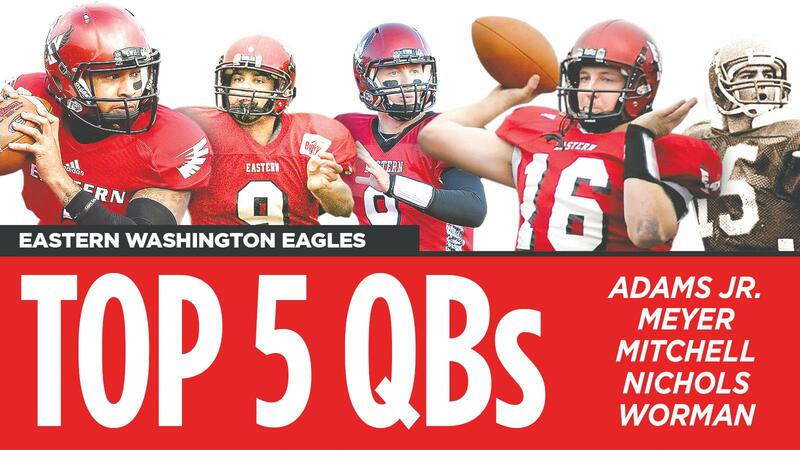 Almost an afterthought at quarterback during his first two years in Cheney, the former fourth-stringer got his chance in the spring of 2016. Competing against the bigger arms of Jordan West and Reilly Hennessey, the former walk-on from McMinnville, Oregon, won over the Eastern coaches with his physical and mental agility. He really is the total package, which was finally unwrapped in Gubrud’s first collegiate start last Sept. 3 in Pullman. Working behind an offensive line as green as he was, Gubrud completed 34 of 40 passes for 474 yards and five touchdowns. With the game on the line, he juked a pair of Cougars and sprinted 30 yards for the clinching score in a 45-42 Eagle win. 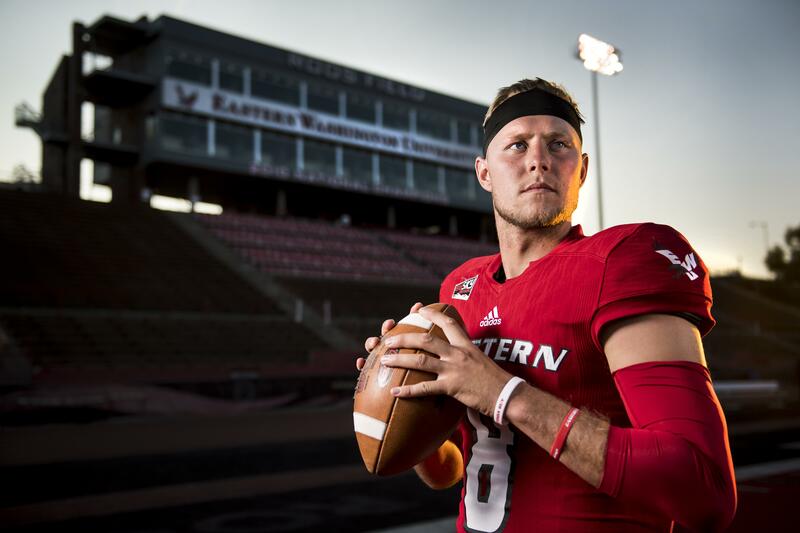 By season’s end, Gubrud had passed for an FCS-record 5,160 yards and 48 touchdowns as Eastern went to a 12-2 season that was among the best in school history. “Looking back, what we accomplished was pretty special,” said Gubrud, giving due credit to that overachieving line, a running back corps that grew up in a hurry, and of course a superlative group of wide receivers. Cooper Kupp, Kendrick Bourne and Shaq Hill are gone now, but Gubrud’s rising stature isn’t about addition by subtraction. Last year he lifted their game as much as they elevated his. This is Gubrud’s offense now, no matter how much new coach Aaron Best wants to emphasize the running game and no matter the dropoff at receiver. Sometimes, Gubrud will need to make the plays himself. Last year he rushed 134 times for 606 yards, both team highs and both too high for Best’s liking. Gubrud laughs at the question; he’ll never be a pure pocket passer. “I understand what he’s saying, but at the end of the day we’re going to have to do what it takes to win,” Gubrud said. “I’m not just going to take sacks – if I feel we’re running zone read and it’s best for me to keep it, I’m going to keep it,” Gubrud said.